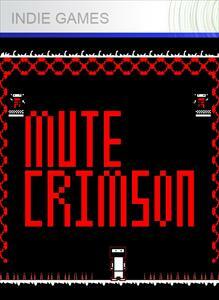 Mute Crimson is an interesting game but ultimately can feel like many other games in the genre. It has a neat platforming element and really cool art style but at points it feels incredibly derivative of other games. Now that’s not to say it’s a bad thing to to borrow from influences a little, but sometimes trying to emulate another game doesn’t turn out so well. Still, for a dollar players get something that has character to back up the derivative qualities. 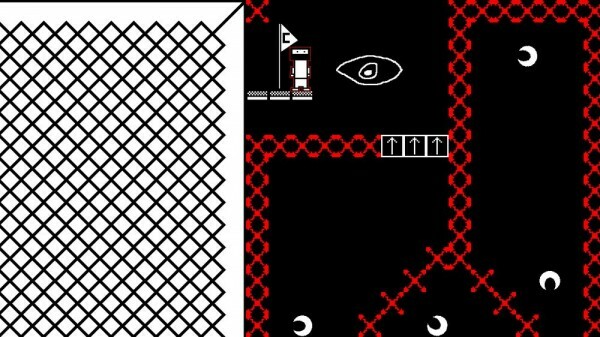 Art Style – Mute Crimson‘s art style is unique, using only three colors: black,white and red. It pokes fun at that Atari 2600 visual style. 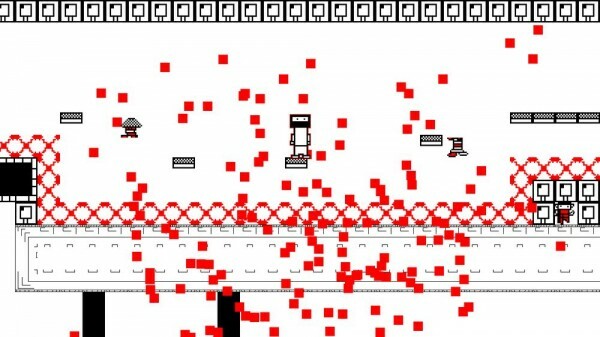 For example, when the character dies red squares pop out everywhere depicting blood. The main character exhibits the retro look as well; he looks incredibly cartoony if not plainly detailed, and it’s very charming. Great sound and music – Nice sound effects coupled with some pretty out-there styled music give the game a great feel that has a Tron-like quality to it. There are some wacky sounds that hearken back to the Atari days and music that’s upbeat and worthy of a little head bobbing. Jumping – For a platformer, jumping is incredibly critical and mucking that up makes the game less fun. The main character doesn’t have the tight controls like Meat Boy or Mario do; there’s no ability to really rev the character up before a jump to go faster. Instead, the character is given the ability to double jump. 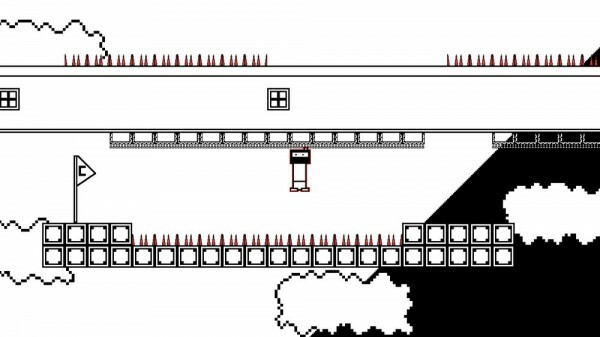 It felt like playing the entire game as Flywrench from Super Meat Boy with not-so-great platforms to jump on. 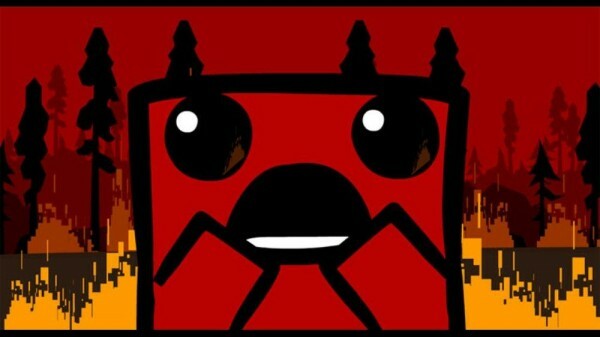 Frustrating difficulty – It’s pretty hard, almost Super Meat Boy hard at times. The problem is that with Super Meat Boy it’s still fun, even when a level is maddeningly difficult. It’s not that Mute Crimson did it wrong, it just felt very “been there, done that”. A Certain Specialness – For an indie game, it’s sort of like the second tier distant cousin of Super Meat Boy, and it’s clear that Team Meat’s game was a major influence. Being a lower budget game it unfortunately lacks that fidelity of its XBLA hero. Overall, Mute Crimson is an interesting proposition to players on Xbox Live Arcade. On one hand, it costs only 80MSP to play a middle-of-the-road platformer that brings some neat things to the table; on the other players can spend 1200MSP and pick up Super Meat Boy, an amazing platformer. As always we recommend trying the game out before purchasing. Fans of these kinds of games will likely find it worth the inexpensive cost, but others may find Mute Crimson to difficult for their tastes.